Learning Excel can be engaging, fun, and very profitable for your career. 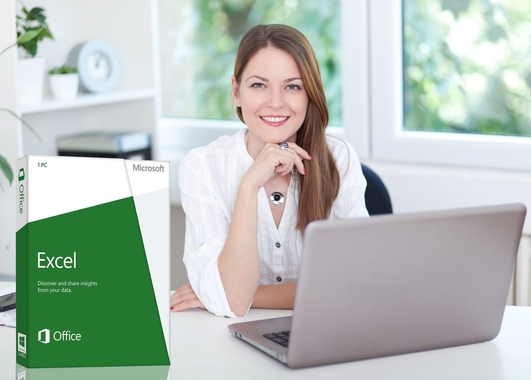 It’s expected that any professional in Marketing, Administration, Management, Human Resources, and, of course, Finance MUST have a fundamental expertise in using Excel. Our Excel training program, designed by a Stanford University Graduate, Public Company Board Member, and active Industry Executive, provides you with the exact skills you need today. You will learn, step-by-step, exactly how to approach Excel use. By eliminating the mystery of Excel and taking you inside the program, our instructors will provide you with a complete and thorough understanding of the application. 323 video lessons with practical exercises covering almost all aspects of Microsoft Excel skills such as for example: Backstage Management, Document Appearance, Fundamental Basics, Inserting Objects, Learning Excel Options, Managing Your Data, Reviewing Your Data, Setting Workbook Views, Excel Developing & Macros, Building and Using Excel Formulas and many more. appropriate for all Microsoft Excel users from total beginners to professional accountants. instructional materials created by professional, licensed accountants, graduates of Stanford University (one of the 5 best universities in the world). the course is built on a Proprietary Learning Management System (LMS) which uses advanced neuro-scientific teaching methodologies. THIS VERY METHOD is used by EVERY MEDICAL school worldwide: Watch One, Do One, Teach One through real-world practice and Immersion. Completely Mobile Compatible for your iPad or any Mobile Phone. Real-world, corporate examples (not just theory) of how to use Microsoft Excel functions. The London Business Institute doesn’t focus on Theory, because Theory typically fails when it meets reality. Certificate of Proficiency from the London Business Institute upon completion of the course recognized by many international corporations including IBM, Nestle, Philips, Chase Bank, Volkswagen, BNP Paribas, Deutsche Bank, Barclays, ING, Coca-Cola, DHL, Procter & Gamble, Samsung and many others.